Grapefruit is released on Hackage. If you do not have special requirements, you can install Grapefruit by saying cabal install grapefruit-ui-gtk grapefruit-examples. If you do not have installed the gtk package yet, this command will also try to install this package. However, this will fail unless gtk2hs-buildtools is already installed. See the Gtk2Hs website for further information. The source code of Grapefruit is on darcs hub at http://hub.darcs.net/jeltsch/grapefruit. Replace Example with the name of the example to run and UIBackend with the name of the UI backend you want to use. At the moment, the only meaningful replacement for UIBackend is GTK. Possible replacements for Example are Converter, ListView, SetView, Simple, and Switching. We do not provide ready-to-use executables since it is possible (at least in theory) to run the examples with different UI backends and an executable would be fixed to a specific backend. See the respective list on the new Grapefruit website. Grapefruit has a mailing list and a project management website where you can report bugs, for example. 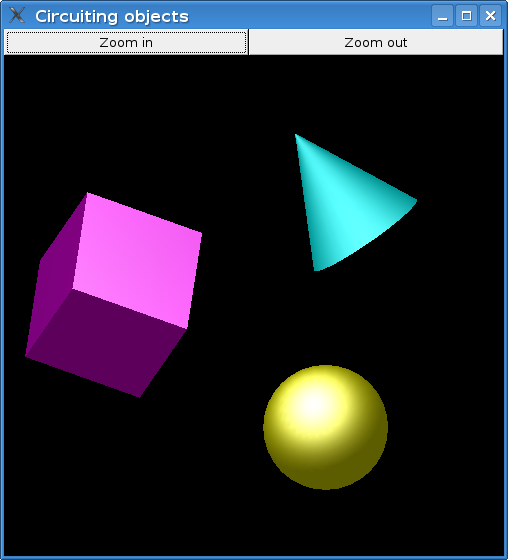 Below are some screenshots from the examples of an earlier Grapefruit version. The Simple example is also available in the current version, along with several other examples not mentioned here. Clicking on the button adds a star to the caption of the button. This doesn’t look very meaningful. However, Simple is actually a very important example since it demonstrates that feedbacks work—the output of the button is transformed and then used as the button’s input. This is a Mastermind™-like game. The Add button is enabled if and only if the input field contains a valid code and the display box is enabled if and only if the list of guesses does not contain the code chosen by the computer. These properties are described in a declarative way in the source code. This example demonstrates Grapefruit’s support for animations. This page was last modified on 16 February 2017, at 15:20.